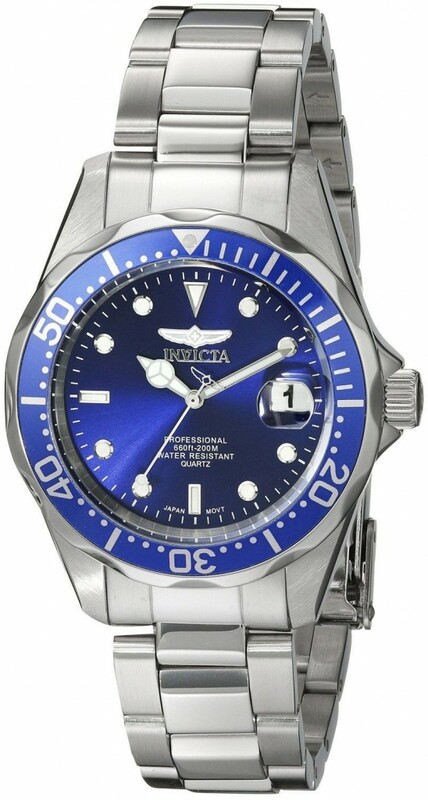 Invicta Pro Diver Men’s Quartz Watch 9204 Review. 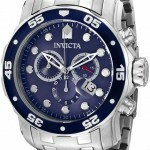 Hello everyone, today I’m doing a Invicta 9204 review which should be quite interesting, it’s a very affordable decent quality watch so if this is the type of thing you’re after, definitely have a good read through and see what you think. It’s not to be missed. Anyway I’ll get on with my 9204 review below and you can find out the price on Amazon today, enjoy. 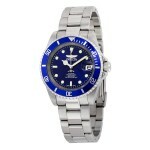 This watch really does have a rather striking design, the blue dial seems to just draw you into it. I’m quite a fan of using blue with watches to be honest, so this is something I’m always going to like, when it’s done correctly. It just makes the watch that much more noticeable and I could see my friends spotting it and asking about it etc. For those of you in the diving scene it’s worth noting this watch has a water resistance of 200m or 20 bar. 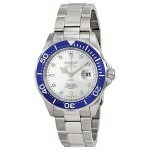 This is a pretty good level in my opinion for a watch of in this price range. As I was expecting this watch comes with a specially hardened mineral glass which is designed to resist most scratches. If you do get any scratches these can sometimes be buffed out. The next level up would have been a sapphire crystal glass however you don’t often find them in this price range. The casing diameter of the watch is 38mm which is a pretty traditional standard size for a men’s watch. The thickness of the casing is 12mm, you can expect this to have a slightly chunky feel to it, but not too over the top like the oversized watches. Obviously as you can imagine, there isn’t really any space to fit in a date feature so this watch does lack that, however that’s the design and It wouldn’t work with a date feature. I don’t think it’s something that will be missed here if I’m honest. The strap of this Invicta watch is stainless steel with a standard fold over clasp & safety, I don’t really like safety clasps as I find them a pain to deal with, however most people don’t tend to have this issue. The strap itself is 18mm, perfect to go with the case size. Overall it’s a very nicely designed watch here from Invicta that I’d say is well within most peoples budgets. Could also make a great birthday or Christmas gift in this price range. I do feel you are getting great value for money with this watch so I’d happily recommend it myself.